In a downtown that’s used to snow, the challenge remains when about 20 inches of fluffy white arrives for a Christmas visit. But we are a resilient lot. Downtown employees came to work, restaurants sat guests that braved the snow, shop keepers wrapped late presents, and best of all, a city cozied in for a long winter’s nap only to awaken with a renewed vigor. I walked the streets of Downtown Petoskey this morning and was amazed at the readiness for a week full of tourists and returning guests. Most every sidewalk was plowed, blown or shoveled, and the few remaining covered in winter white, were being cleared as I walked. The streets were plowed and some city folk were hard at work cleaning up the edges and manicuring the curbs. 20 inches of lake effect snow over a holiday means someone had to cut their celebrations short and make ready our town. Thank you to one and all who took part in that necessity. It is much appreciated and often taken for granted. As people who live downtown move cars and make available the larger plowing lanes, the clearing will be complete. 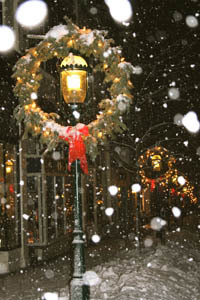 In the meantime, be confident that Downtown Petoskey is open and ready for business. The shopkeepers are out as we speak shoveling and salting for the extra added safety, and staff have braved the cold to make sure the coffee is hot and the toast warm. 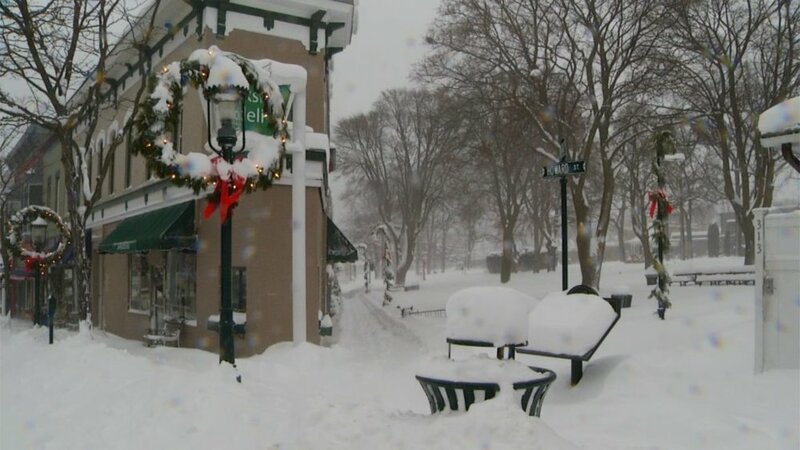 If a little snow gets in the way, smile and be amazed instead of grousing and being mad at the inevitable, for it’s winter in Downtown Petoskey and the sights are wonderous.